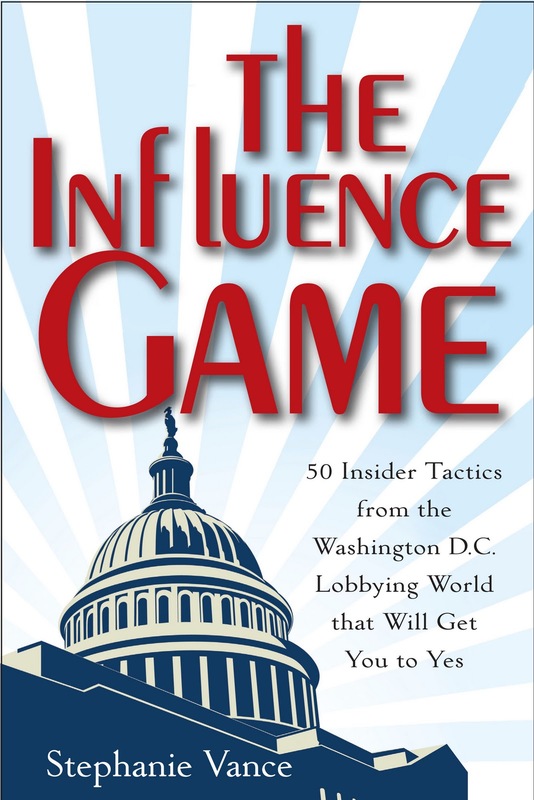 As discussed in my last blog entry, effective lobbyists understand the nature of what they’re selling in Washington, D.C.. They identify the intent (action vs. inertia), the scope (controversial or note), the importance (must do vs. may do) and the timeframe (short vs. long term). In the last post I talked about intent. In this one we’ll look at scope. By scope I mean where the idea the lobbyist is selling falls on the “controversy”spectrum. These ideas range from large to small, from controversial to not, from easy to tough and everywhere in between. For example, legislation to “designate the facility of the United States Postal Service located at 20 Main Street in Little Ferry, New Jersey, as the "Sergeant Matthew J. Fenton Post Office"” (passed and sent to the President on 12/23/2011) takes less time and political capital than legislation to change health care laws, the tax code or the structure of the financial system. Think of your influence effort as existing along a spectrum from easy to difficult, particularly in terms of your audience’s perspective. Will it cost them money? Time? Political or other capital? Will someone be angry with them if they agree with you? The answer to these questions will tell you whether the influence situation is controversial or relatively easy. In addition, you’ll want to consider whether your idea will be attached to something controversial. While you may have something relatively simple to propose, your task will be far more difficult with a gigantic legislative albatross around your neck. Finally, don’t be fooled by those items that may not seem all that controversial, but can turn out that way. For example, if you want to establish National Pickle Week, you better know what you mean by “pickle.” Is it sweet? dill? Do gerkins count? What about chips vs. spears? In fact, you’ll probably want to include ALL pickles just to be on the safe side and avoid opposition. You may have noticed the dearth of blog postings from the Advocacy Guru in the last few months. But have no fear! You’ll hear a lot from me in the coming months as I gear up for the release of my next book, The Influence Game, coming out in May, 2012 from Wiley publishing. The Influence Game shares 50 of the most effective “insider” tactics used by D.C. lobbyists and special interests to persuade legislators and their staff. And believe it or not, none of these involve manipulation, bribery or lying! If you think about it, in any influence situation, whether you’re working with policymakers, business leaders or your spouse, you’re selling something. Sometimes it’s a widget and sometimes it’s an idea. But either way, you’ll want to know the intent, scope, importance and timeframe of your sale. Let’s start with “intent,” by which I mean knowing the difference between asking for action or inertia. Sometimes you’ll want the decision maker to do something. Sometimes you’ll want the decision maker to NOT do something or, in fact, anything. It won’t surprise you to know that in Washington D.C. inertia is almost always the easiest to achieve. Special interests often succeed simply by persuading Congress that the status quo is better than any changes legislators could come up with. Inertia in Washington, D.C. is so bad that even the “must pass” bills, like the appropriations bills that keep the government funding never actually pass on time. And when I say never, I mean never. They haven’t passed on time ONCE in the last decade. That said, sometimes advocates must push for something affirmative, such as passing a tax extension that would expire without specific action. Your entire strategy, including message development, timing, tactics used to reach out to decision makers and specific actions for follow-up, will depend on this basic understanding. So as you’re getting started with your influence effort, ask yourself “am I pushing for action or inertia?” Knowing the answer to this question will get you started in the right direction. Next time we’ll look at the scope of your ask, particularly whether it’s controversial or easy -- and how to manage each type. Is Bipartisanship Still Possible in 2012? The last few days have been overwhelming in the news with the South Carolina primary, Mitt Romney’s tax returns, the Republican Florida debate, the State of the Union address, and Gabrielle Giffords’ resignation. Reading the news and hearing the rhetoric in press releases, I’m sure many in the nation have little hope for anything to get done this year in Congress. So is bipartisanship really possible in 2012? The answer: yes. In the last few days there have been signs that bipartisanship is still possible in today’s hyper-partisan Washington. President Obama called for congress to follow the example of our military to work together regardless of our divisions. The No Labels organization has worked tirelessly to get many of its bipartisan initiatives adopted. Notably, according to their daily dose, they have been successful in the state of the Union bipartisan seating and President Obama endorsed the No Label’s proposal for all presidential nominees to get an up-or-down vote within 90 days. Perhaps more telling that Washington can transcend its political divisions is the resignation of Representative Gabrielle Giffords. During the State of the Union speech, the House chamber roared with her arrival and hugging of the President Obama. During her resignation ceremony and introduction of her final bill, both Democratic and Republican representatives were supportive of Representative Giffords. Representative Jeff Flake, a Republican, is seen by her side for much of the ceremony. Her bill passed the House with a vote of 408-0. That means 93% of the House of Representatives voted in favor of a bill. It’s been a while since that kind of agreement has been reached in the much divided House of Representatives. I wouldn’t expect that DC will be on fire with bipartisan proposals. Bills like Rep. Mica’s upcoming transportation bill will be a test, but I do have hope that Congress can work together this year to get some bipartisan initiatives done. Grassroots vs. 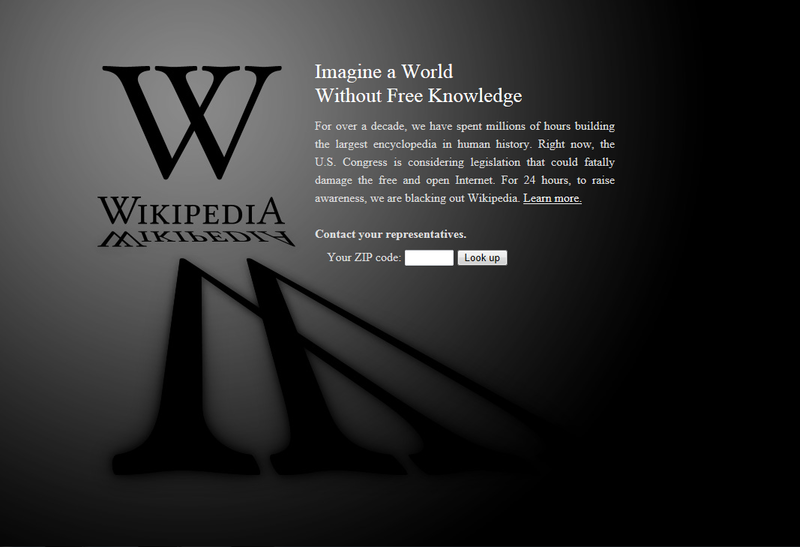 Lobby Money: Who will win the SOPA Fight? Real Online Threats to Economic Creativity and Theft Property Act of 2011 (PIPA). These are two bills that civil liberty groups, internet companies, and citizens have charged as an example of a strong lobbying effort by a particular group, this case Hollywood and the music industry, to solve a problem without regard to possible implications. An article from CNET does a great job outlining the current conflict. The movie and music industry are backing SOPA and PIPA heavily with lobbyists and money, Google and others have decided to mobilize a massive grassroots network on their websites. 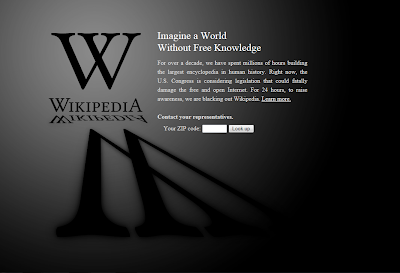 Google has added a link on its home page for users to contact his or her representatives and Wikipedia has completely blacked out its website with a message to its users. For those cynics who believe that ONLY money dictates what happens in Washington D.C., this massive grassroots effort may halt congress from passing either SOPA or PIPA. If the bills are halted, then there are some serious lessons that we as advocates can learn from this grassroots effort.Regardless of which side of the issue you stand, this is an important issue that you should weigh in on and contact your member of congress. If your organization wants to get something done and foster the bipartisanship needed this year, be sure to have your members reach out to his or her representatives regardless of party affiliation. If a member agrees or disagrees with an issue because of party loyalty, the best way to overcome that policy position is constituency. Most members of Congress are willing to break party lines if his or her constituents demand that action. The Senate will reconvene on January 23rd and the House will reconvene January 17th. So let’s get ready to advocate!